Radio Warfare is about a big idea. It is for people in radio who want to deepen their knowledge and broaden their horizons, improve their skills and realise their ambitions. It is about Presenters, Podcasters, Producers and Programmers who want to develop their thinking, improve their creativity and advance their careers. Show Prep is about providing a contemporary prep service to help you supercharge your radio show. It’s about having a virtual production team supporting your show with news, showbiz, gossip, information, surveys, ideas & inspiration. 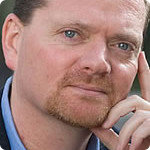 Francis Currie is an international media consultant, trainer and certified coach. Prior to launching his own business Francis was a successful senior media executive in the UK. He worked in radio, publishing, online and music tv. Radio Warfare is the realisation of a long-term ambition to provide support to Presenters, Podcasters, Producers and Programme Directors on an individual basis. 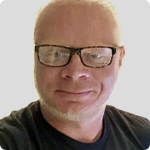 Paul Ellery is the chief writer for Show Prep and is widely recognised as the best show prep writer in the UK. Creative, experienced, trusted and highly skilled, Paul is not only a great writer but also a great broadcaster who is regularly on the air. He knows exactly what is needed when you are live on air and under pressure to perform.